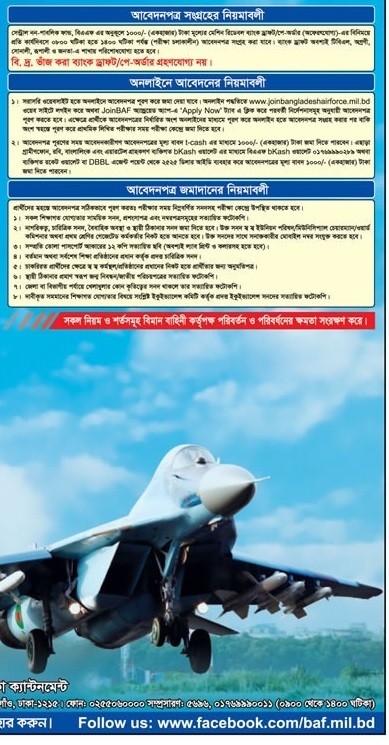 Bangladesh air force job circular 2019 has been published by the authority. Bangladesh air force is one of the largest force in Bangladesh. Bangladesh air force job circular 2019 is an attractive job circular. Maximum,people want to take the challenge. 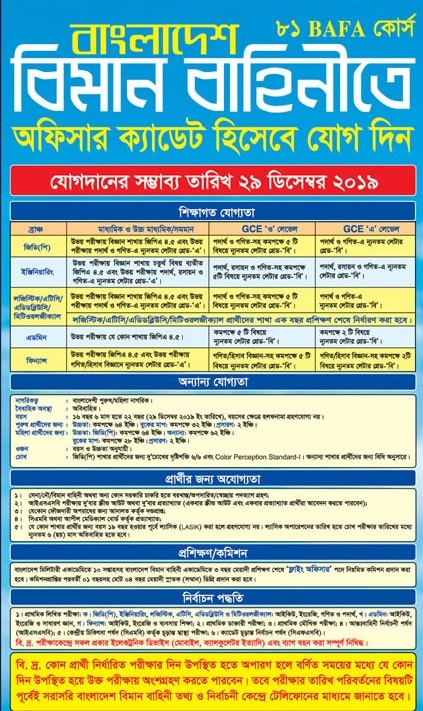 In this case,Bangladesh air force job circular 2019 is perfect for that people. 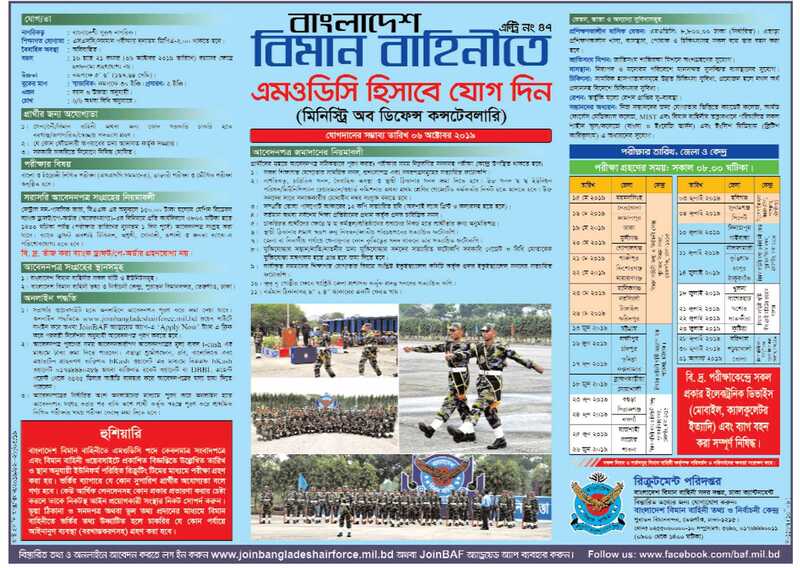 To get Bangladesh air force job circular 2019 related all information,you can visit my website that is jobs.lekhaporabd.com. If,you want to apply,you can take your actual preparation to apply and successfully to join Bangladesh air force. Bangladesh air force is waiting for you. 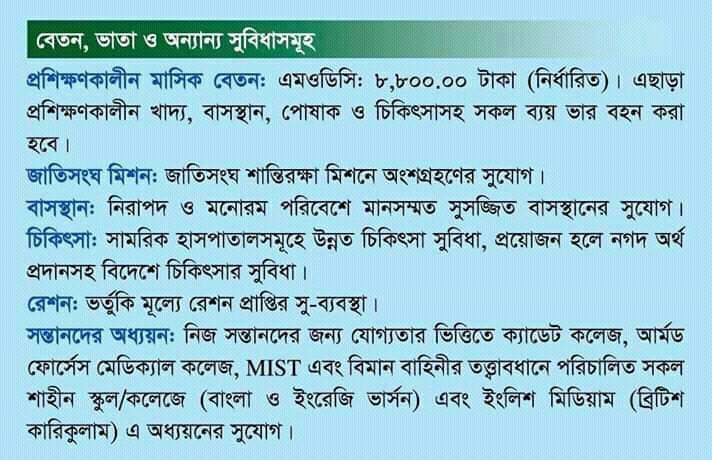 By seeing the original job circular,you can take the actual decision. With application deadline and other information is contain the original job circular of Bangladesh air force. Bangladesh air force want to recruit people who young and energetic. 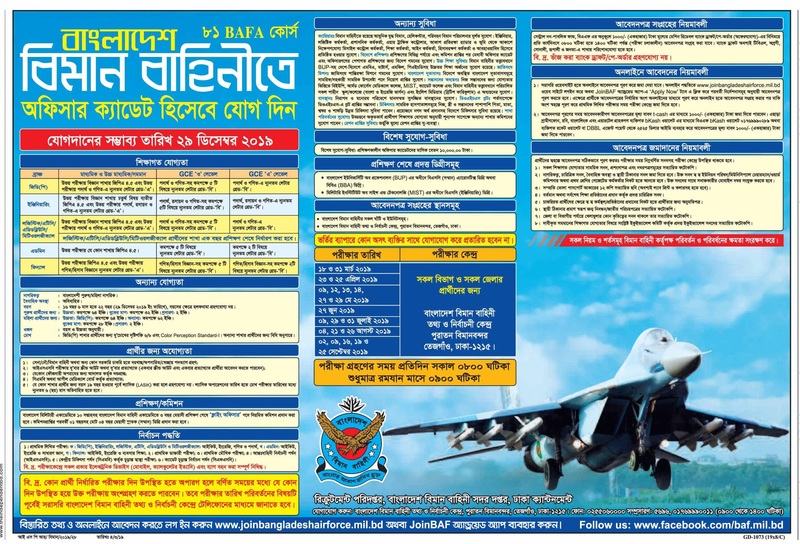 Bangladesh Air Force BAFA Course & BAF DE 2019 Course. 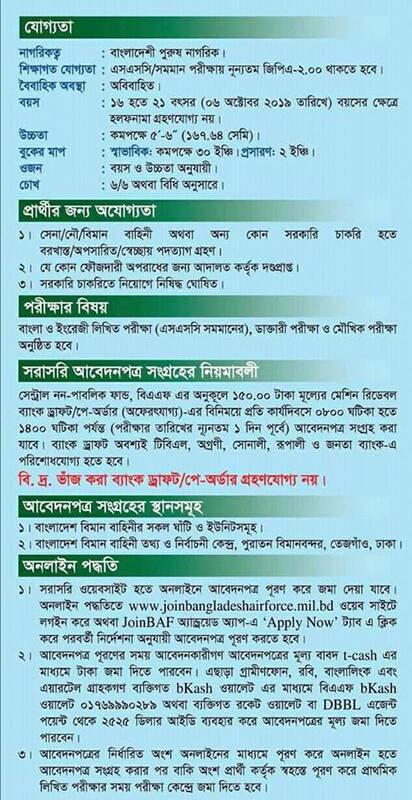 Which job circular recently published by Bangladesh air force,that original job circular converted to an image file. So that,everyone can easily read and download the image file. 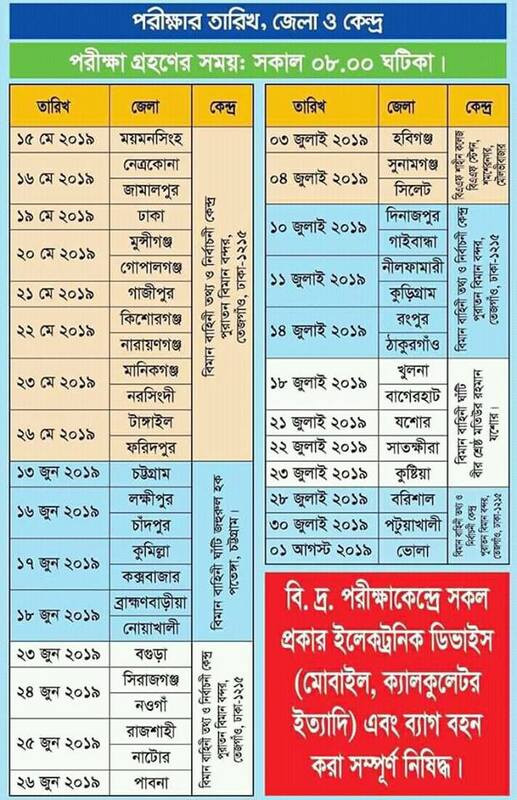 The original job circular or image file has been given bellow. Job Title : See The Job Circular. যারা এস এস সি তে ৪.২৮ পেয়েছে এবং এইচ এস সি তে ৪.৮৯ তাহলে কি সে এই পদে আবেদন করতে পারবে? মান বন্টন Circular এ দেওয়া নেই । দয়া করে মানবন্টন কিভাবে হবে জানালে উপকৃত হবো !! বিমান বাহিনীর বিমান সেনায় আবেদন করেছি..
সমস্যা হলো – টাকা জমা নিচ্ছে না এবং এডমিট কার্ড পাচ্ছি না কেন..